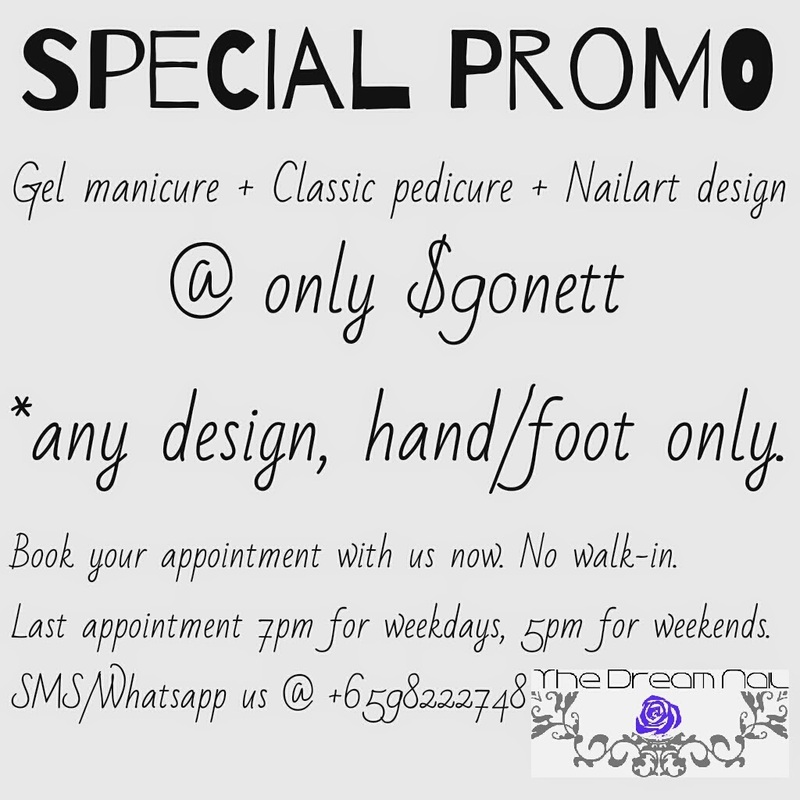 Not only that, for yourself to pamper yourself, we are having this special promotion now! Don't miss it. Appointment booking is advised, as sometimes we might be out station to do events. In order not to be disappointed, can easily SMS/Whatsapp us @ +6598222748. Kindly take note, due to personal reason, we are back to Blk 108 Ang Mo Kio Ave 4. & we are back in Home-based Nail Service. In order not to disappoint our lovely supporters, we are still open for business even if its @ Home-based type. 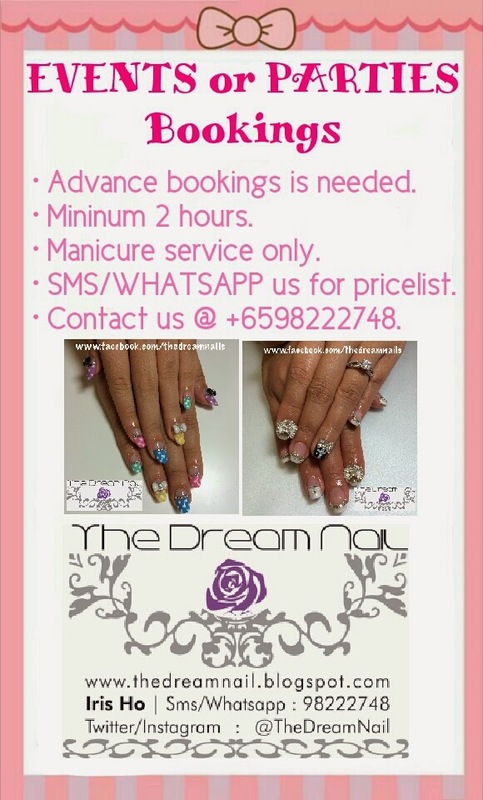 We will still give you our very best promotion to let you highly enjoy your nail service with us. For more information, kindly don't hesitate to contact us now!! If we did not answer your calls, do kindly leave us an SMS/Whatsapp & we will get back to you once we are available.